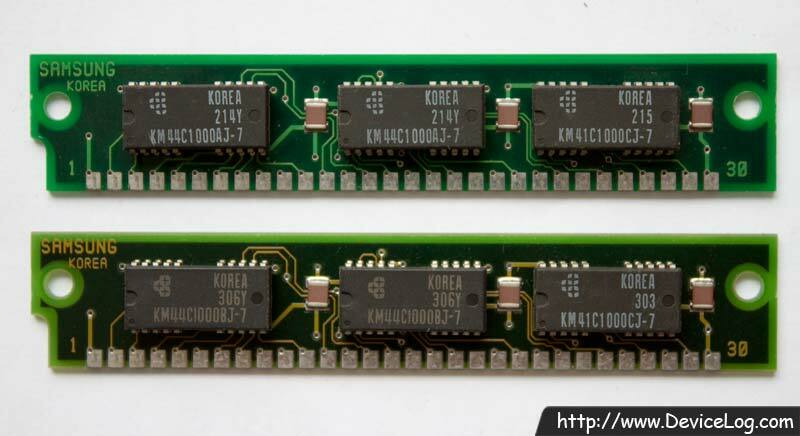 KMM591000AN-7 is composed two KM44C1000AJ-7 chips and one KM44C1000CJ-7 chip. KMM591000BN-7 is composed with two KM44C1000BJ-7 chips and one KM44C1000CJ-7 chip. 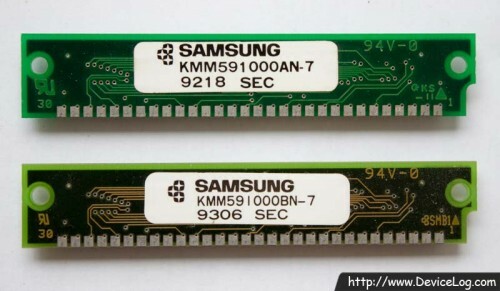 They are 1MB DRAM SIMMs produced by Samsung Electronics.